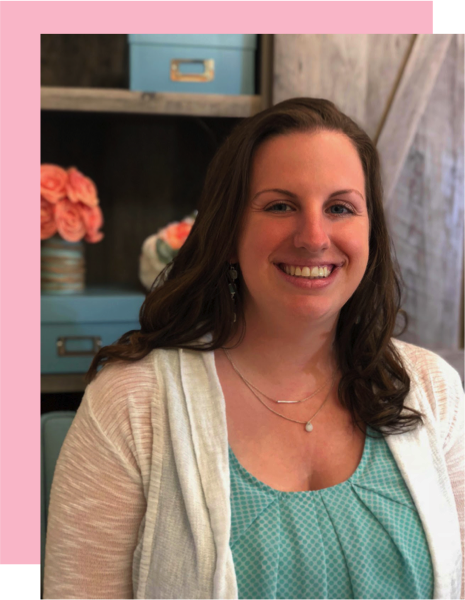 We finally changed classroom jobs this month so I wanted to share a few tips that have helped me these last few years get rid of the headache that can be caused from the job chart! I know what you may be thinking....ummm...slacker! Isn't it the middle of the year?!? Yup! When I began teaching I thought I had to have tons of classroom jobs and I thought they had to be switched every week. That's just the way the whole job thing works right? Well.... I had a love hate relationship with my job chart. I loved it because I knew who had what job (at least for the moment) and it was adorable. I hated it because it was just one more thing to spend time on and remember to do. Plus, there was always confusion on who had what job and arguing each week while choosing/assigning jobs. Teacher truth- ain't nobody got time for that! So, here is what I do now. I know, it sounds crazy right? But believe me, its so much easier! When we begin the school year I spend a few weeks getting to know everyone. We discuss all of the different jobs that we may need in order to have a clean, safe, and successful classroom. I teach EVERYONE what each job looks like (just the run down, not in depth). Then, we assign jobs. I'll get more to that process in a minute. Each kid works on their job from the beginning of the school year until we return from winter break. They become experts. They all know their job and expectations. No more trying to remember who has what job and fighting over line leader every day! 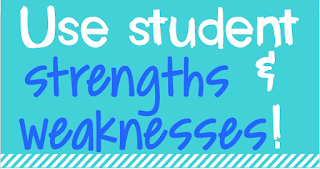 Side-note...if switching jobs works for you and your class each week- more power to you! It just didn't work for me. If changing jobs once a year seems like not enough, maybe try once a quarter or once a month even. The longer stretches between switching jobs may help. Okay, so this may make me sound like a jerk, but again, life lessons here! Once each child learns the expectations for their job, they are expected to complete the duties as assigned. If my line leader is running around while talking in line, well, that's not a role model and someone we should be following. If my table washer constantly leaves their place in the cafeteria a hot mess, then that may not be a good job for them either. If my computer helper keeps dropping computers because they aren't paying attention...well I can't afford that mistake! Rather than immediately replace them, we of course have a discussion about it. I remind them of the duties for their chosen job and how their current choices may not be fulfilling them. We also take a vote of everyone else in the class who would be interested in having their job. Once they see that there is always someone ready to take their place, they start to see the importance of making the right choices in order to keep it. Isn't it true that someone who is more qualified or willing is always waiting to take our job if we don't do what is expected? Now, I have never actually fired a child permanently from their job because I believe in learning from our mistakes. However children have been "laid off" for a day or two which has always resulted in them making better choices once hired back. Since we only change jobs once a year, it is really important that we choose each job carefully. 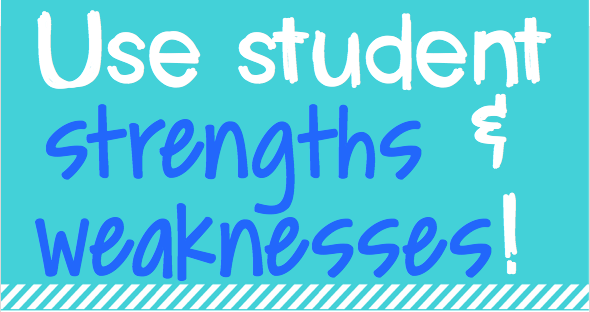 I take each child's strengths and weaknesses into consideration. I also take into consideration which job they prefer, even if I think they'd be a better fit somewhere (if at all possible). For example, I need to make sure someone who can be trusted to follow directions is one that I have as a messenger to send down the hallway. If a child is known to play in the hallway or gets into trouble as soon as my eyes aren't directly on them, being sent out of the classroom alone is just safe. However, if my little one who can't read or write numbers to 20 yet wants to be calendar helper and write the date each day....great! She gets to gain confidence in her counting skills and the daily practice certainly helps. Yes it would be easier for me to not spend time doing her job with her each day, but those 5 seconds of my time far outweigh the benefits of having an experienced student do it. Also, if I have a child that is extra squirmy in line but really wants to be line leader, I give them a chance. They may actually be able to use some self control to prove to me (and themselves most importantly) that they can do a great job. 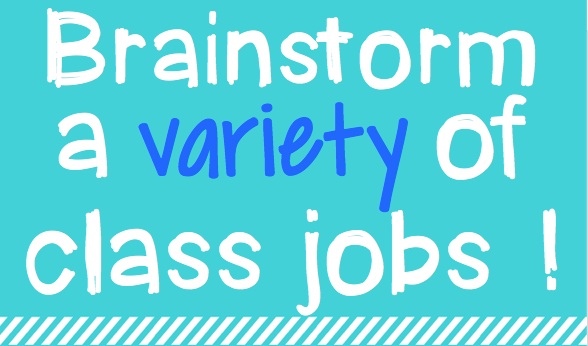 We brainstorm a long list of jobs as a class. My students sometimes feel called to do something in our class that I may not think of as a job or as important, but they take pride in it and in the end that's what matters. 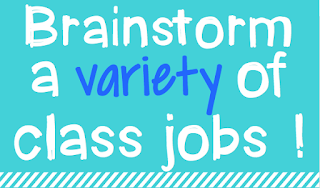 We usually brainstorm the list and write in on a large chart one day, and assign jobs the next day once they've had a chance to think about their own strengths and what they would be good at. What other jobs do you have? 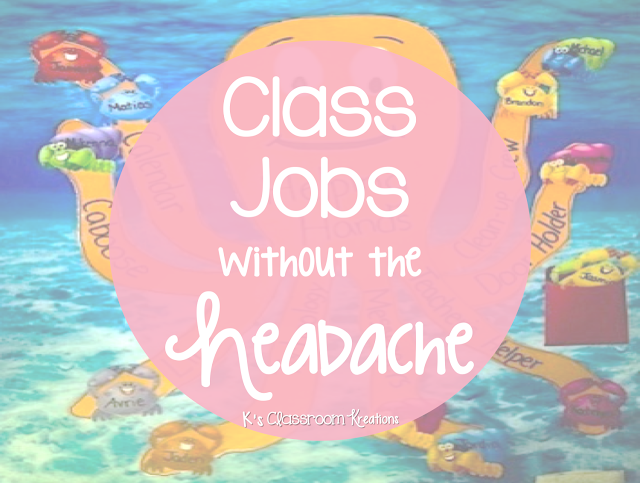 What jobs make your classroom run smoothly? What jobs would you prefer not to assign?